After a 12 year hiatus, the 5th and final season of Samurai Jack is finally here! (…though Cartoon Network has now moved it to their night-time adult swim segment). 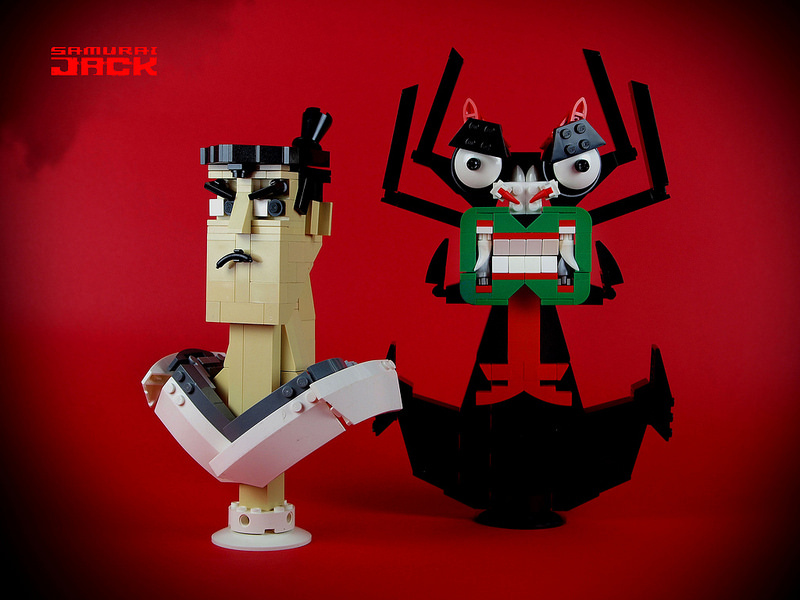 Based on these stunning LEGO busts, I’d guess Yu Chris has a soft spot for the time-traveling samurai and his diabolical shape-shifting foe Aku. From their angry expressions to Yu’s color choices, these models capture the cartoon’s unique artistic style. In particular, I love how Yu nailed Jack’s massive square jaw and top knot, and Aku’s iconic silhouette.